The Old Bro Network: Old Bro Spring Formal ?? Old Bro Spring Formal ?? Same to you and thank you for keeping the OBN going. 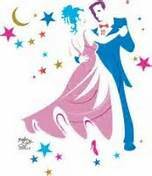 BTY, we are planning (the mid 1950’s era) a 50th (+-) reunion of the resurrection of the “Spring Formal”. We will be doing a 4 day cruise on the Ruby Princess from San Pedro with stops in Catalina (site of a few spring formals and reunions) and Ensenada returning to San Pedro. Dates are Thursday March 10 – Monday morning March 14. Right now we have 5 cabins for sure, but there is always room for more. Current cost starts from about $500 per person for inside cabin. That seems high but it is pretty much all inclusive except liquor. They may have a sale as we get closer to the date if there is availability. Do you think some of your era might be interested? If so, they can contact me at: 714-968-8353 or ucla1963@yahoo.com (one of my 4 E-Mail addresses). 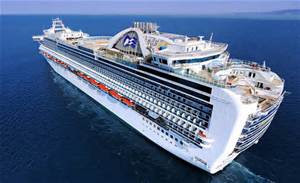 The Ruby Princess is part of Princess Cruises "Grand Class" of ships, with a passenger capacity of just over 3,000, and includes over a dozen different dining choices as well as eight different showrooms and lounges to catch a show while enjoying an adult beverage or two. You can watch "Movies Under the Stars" at night on the pool deck, hit the casino to try your luck, or just kick back and relax with some of your other Old Bro's. Other members of my immediate family have sailed on this ship, and rated it as one of the best cruising experiences they have ever had.